General Manager Steve Tambellini announced today the Edmonton Oilers have agreed to terms with Kamloops Blazers left winger Kale Kessy on a three-year entry level contract. Kessy, 20, has played five seasons in the Western Hockey League, accumulating 112 points (46G, 66A) and 511 penalty minutes in 253 games. He has appeared in 34 WHL post-season games recording eleven goals, nine assists and 55 penalty minutes. The Shaunavon, Saskatchewan native has played in 60 games this season, posting 43 points (21G, 22A) and 106 penalty minutes. In the 2012-13 WHL Playoffs,the 6’3”, 205-pound winger has registered nine points (7G, 2A) including two hat tricks and six penalty minutes in six games. 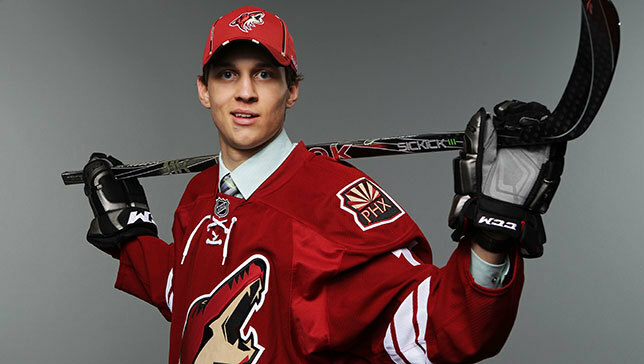 The Phoenix Coyotes selected Kessy in the 4th round, 111th overall in the 2011 NHL Draft. The Oilers traded for Kessy’s rights on March 29th, 2013.